So, last Friday I was driving home from school, and I passed this old door on the side of the road. I did a u-turn, got out of my car, inspected it, decided I wanted it, knocked on the door of the house, and nobody answered. Because I have almost gotten myself in trouble with taking things from the side of the road that apparently weren’t garbage…. (that’s another story for another day) I decided to just leave it. But by Sunday, the door hadn’t left my mind, and I made Mr. Hoff drive me across town to see if it was still there. It was. 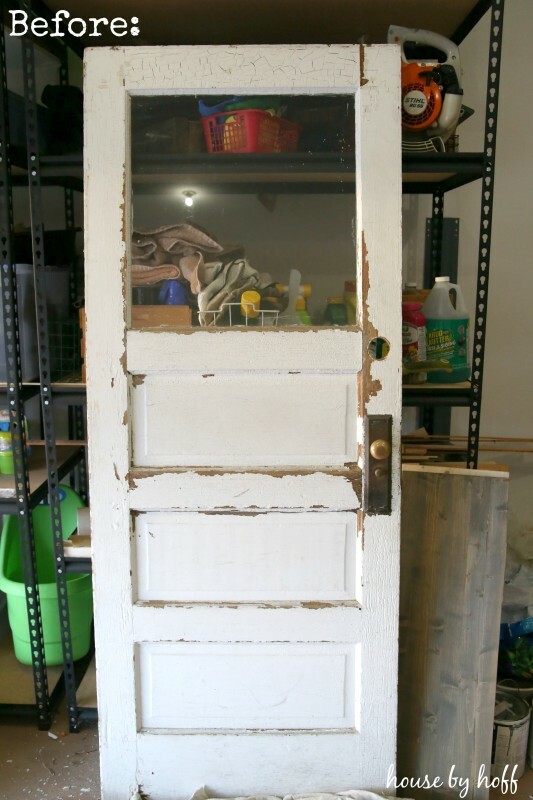 I got an answer from the occupants of the home this time, and they were thrilled that I was carting the old door off. I was just about to leave when I heard a little voice say, “Hey! I know you from school!” I turned around, and one of my little kindergartners was standing in the doorway of the house looking up at me. It was adorable, and gives this old doorway an even sweeter spot in my heart. This is what the doorway looked like before. It’s old, dirty, chippy, and PERFECT! I scraped the chippy paint off as best as I could, sprayed and washed it down with the hose, and then painted the window pane with chalkboard paint. I liked the old chippy look, but decided that I wanted it to look a little cleaner and crisper. I just rolled a couple of coats of American Accents’ Heirloom White paint on it, and tada! Oh! I almost forgot! We also added this hook to the top of the door! Perfection! 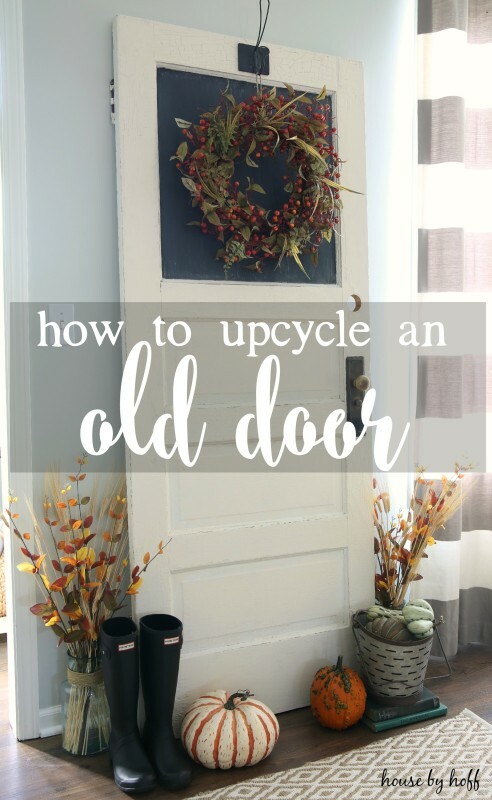 Let’s see what my GYDO cohosts did for their upcycled projects! Don’t forget to link up your upcycled projects on Sunday! 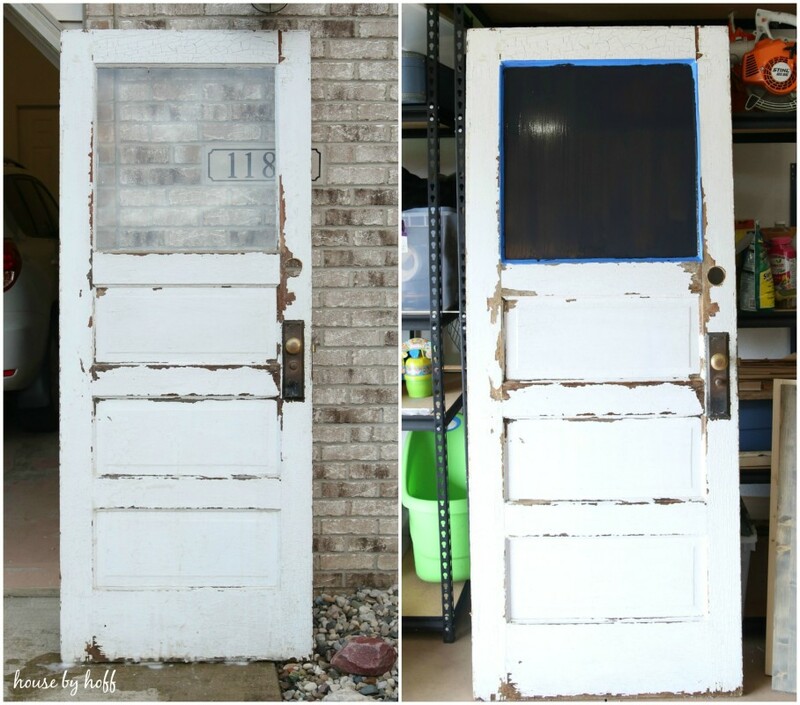 What a great save 🙂 I love old doors and wish I could find some places in my house for them! Oh girl this looks so good!! Great job! Love the door ! 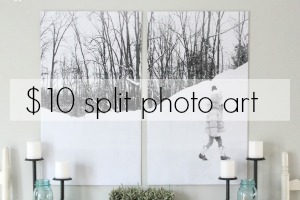 Looks great in your room! I think I might start searching for old doors! 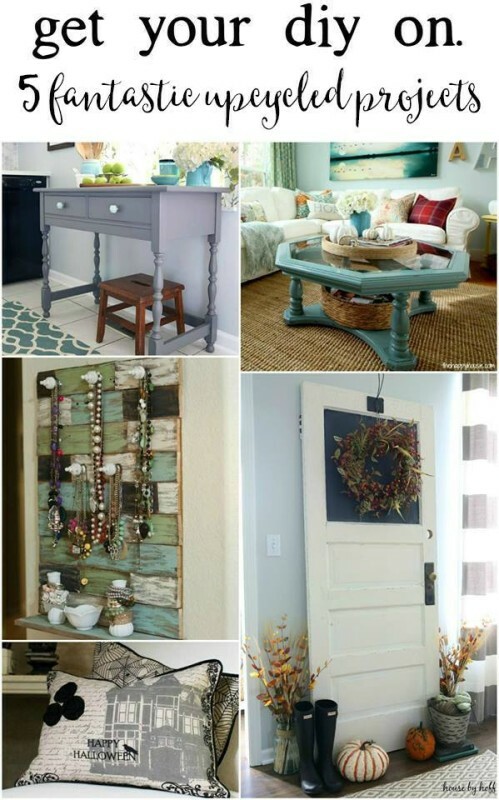 Love what you did with the old door!! It looks great!! 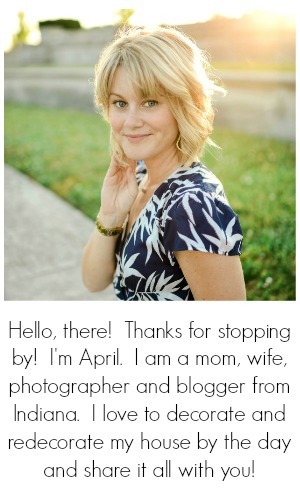 This is awesome, April! I wish I would find cool old doors on the side of the road! Love what you did with it! Have a wonderful weekend, friend! Oh my goodness – what a fabulous piece. Such a great find, glad you went back for it!! 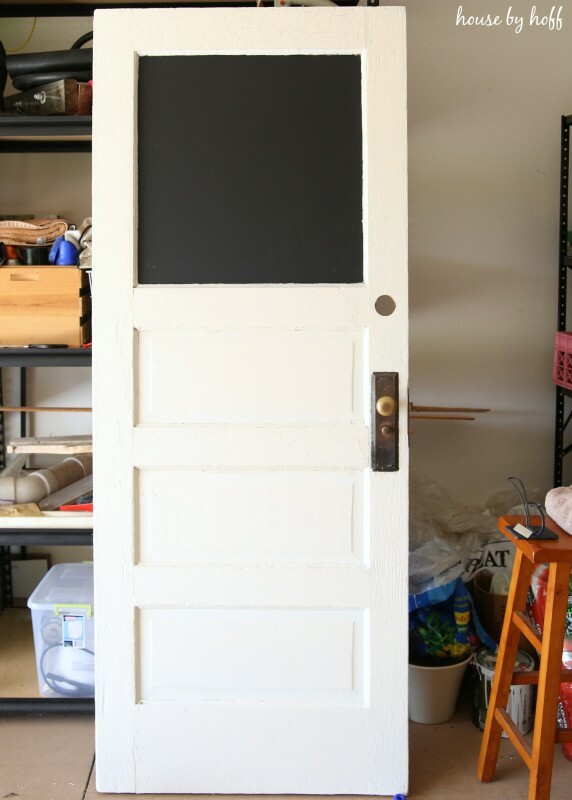 I love the addition of the chalkboard paint and the hook. Brilliant. 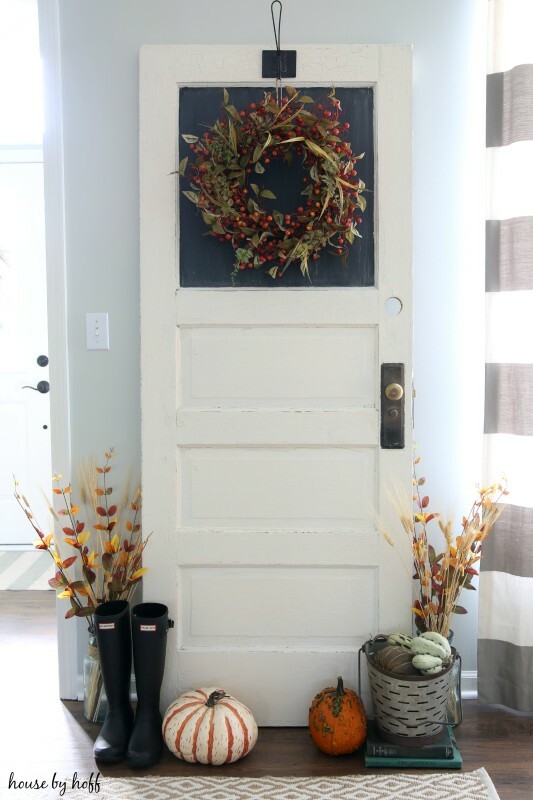 April, your door looks fabulous! 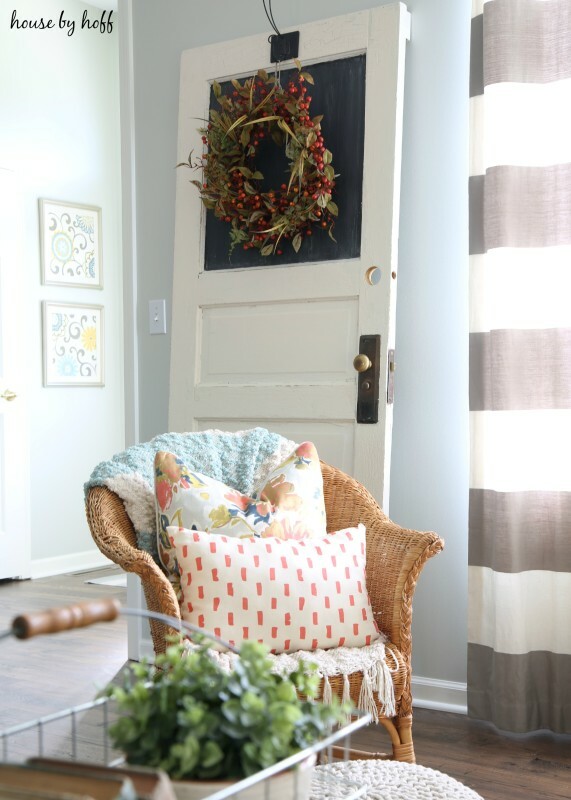 I love the paint on the window and that wreath!!! I love your old door! You styled it so pretty too! 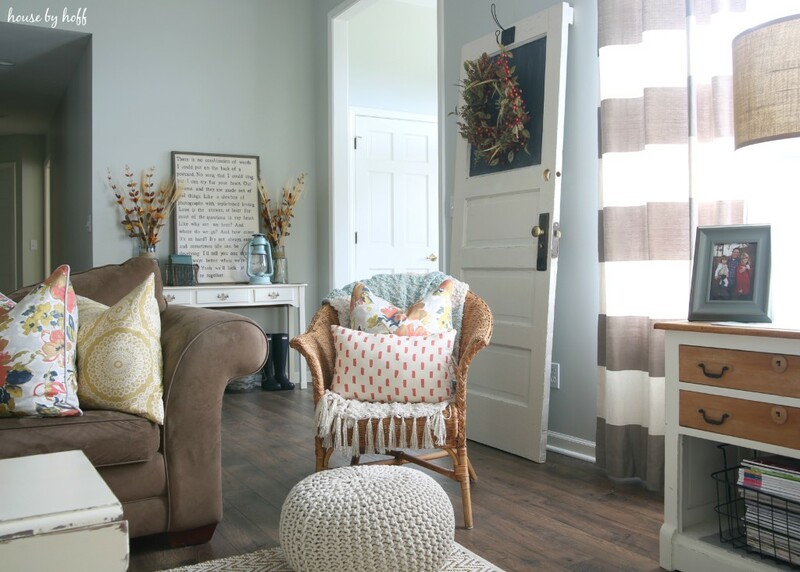 I am a door addict as well and have a few different styles and sizes of them around the house. 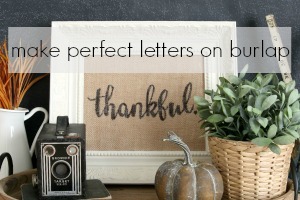 They make for lovely decor in any room! Hope you have a great weekend!